We can learn a lot from horses. Run fast when necessary, but don’t work too hard if you can help it. Be gentle whenever possible. Make time to goof around with your friends. And never underestimate the value of a day spent standing around, doing a whole bunch of nothing. 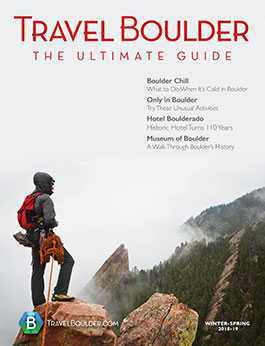 Whether you’re a city slicker looking for a cowboy-inspired escape or a skilled equestrian who wants to explore the beautiful Colorado landscape in a new setting, a trip to a dude ranch might be exactly what you need. You can find plenty of opportunities to connect with horses at Vista Verde Ranch, an all-inclusive dude ranch that will make you feel like you’re roughin’ it like a cowboy — but not too rough. 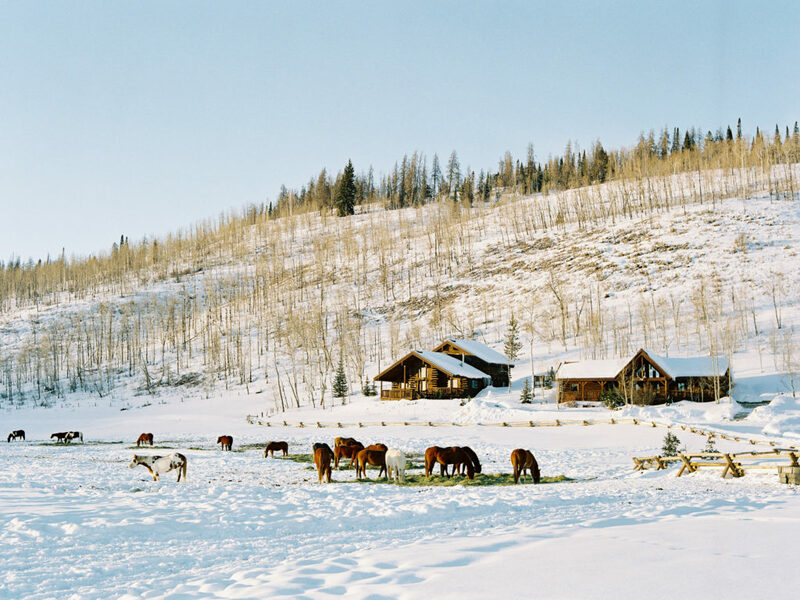 The 540-acre ranch is a picture of rugged luxury — it’s elegant without being pretentious, but comfy and cozy at the same time. You won’t feel like a visitor at all, with the ranch hands and other staff joining you at meal time and on game nights. 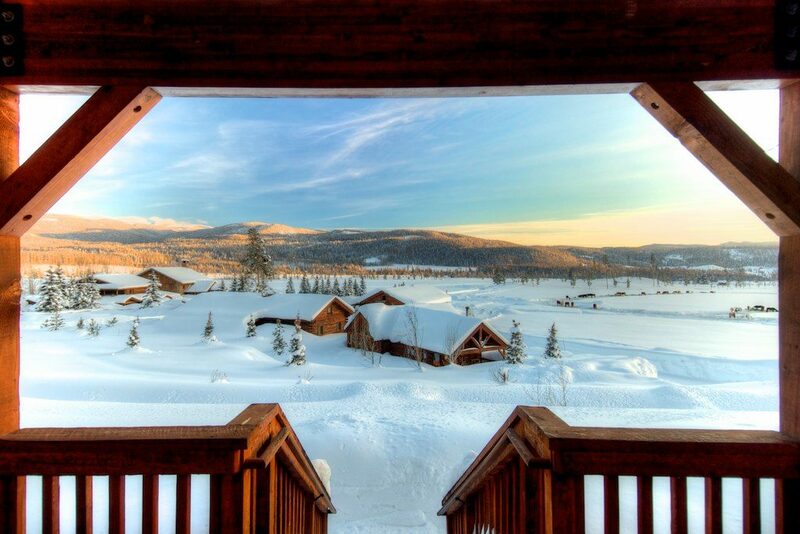 The ranch, located roughly 40 minutes north of Steamboat Springs and a little more than four hours from Boulder, is like a secluded winter paradise. 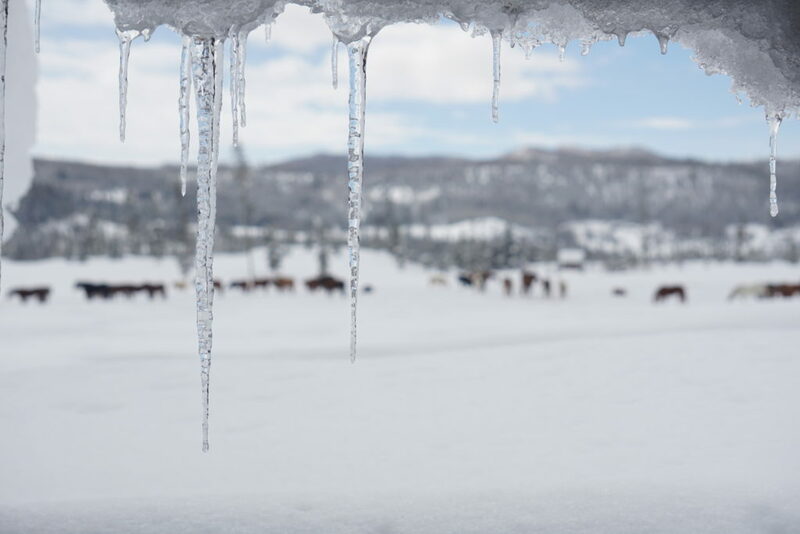 It’s hard to describe just how beautiful the scenery and ranch buildings are, so we’ll let a few pictures do the talking. The first non-Native settlers here were Loren Blair and John Hay, who in 1916 built a small home and a barn on the land that would later become Vista Verde Ranch, thanks to the Homestead Act of 1862. The homestead changed hands in 1933 and got its name when a Spanish teacher looked out over the valley and used the words “vista verde” to describe the beautiful “green view” she saw. It became a full-scale dude ranch in the 1970s. Though winter is definitely the best time for snuggling by the fireplace with a warm beverage (and you can totally do that here), it’s also a season for exploring. You’ll hear nothing but the wind blowing through the trees when you take a guided backcountry ski or snowshoe tour and you’ll relish in the sound of crackling logs on the fire during a personalized “snowga” (snow-yoga) session in a log cabin as the snow falls outside. You might even catch a glimpse of a fox, a snowshoe hare or a bald eagle. 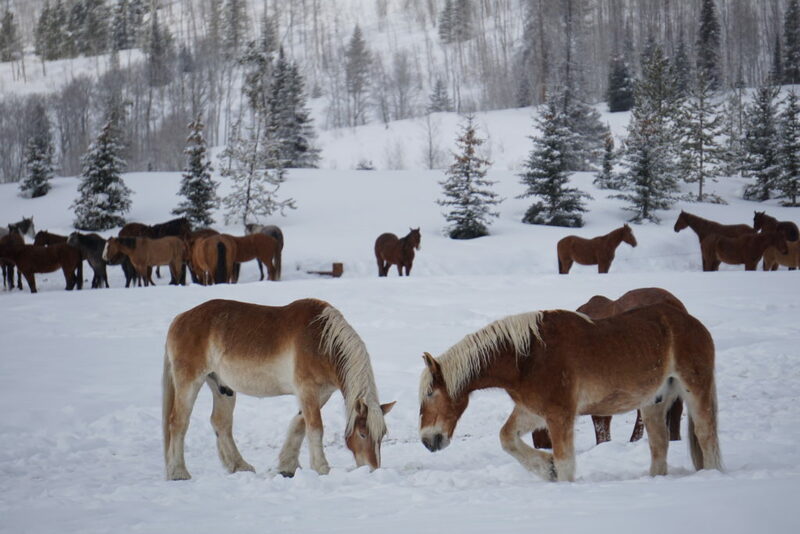 Other winter activities you can participate in include cooking classes, snow tubing, snowmobiling, fat biking, ice fishing, photography lessons, leatherworking clinics, beer tastings and tons of horse-related adventures. Whether you have experience with horses or not, there’s no denying how incredible these massive animals are. 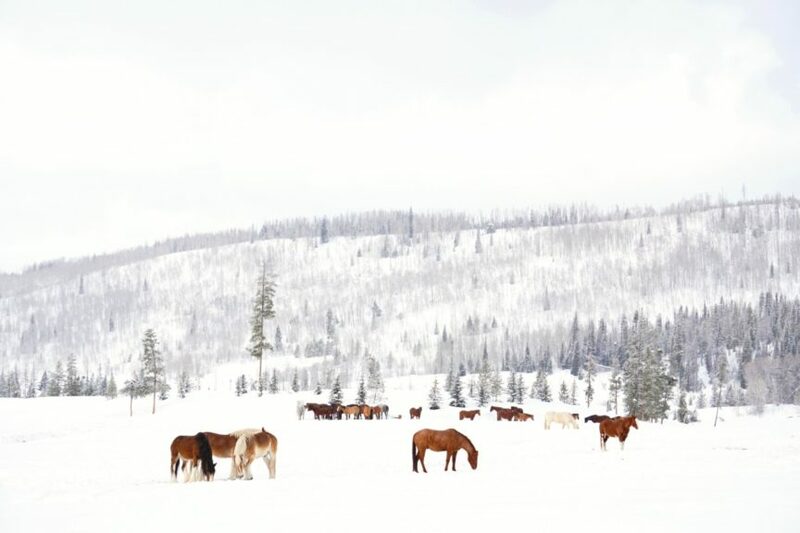 You can get up close and personal with the more than 100 horses that call the ranch home — you can take a trail ride across the snow-covered grounds, get a personalized lesson in horsemanship in the ranch’s heated arena and head out on a sleigh to help feed the horses each afternoon. You’ll be paired with the same horse throughout your stay, so you can begin to develop a bond, which, as you will learn, is what leads to respect from your horse. One of the best parts of every day is when the ranch hands call the horses in from the pasture each morning. 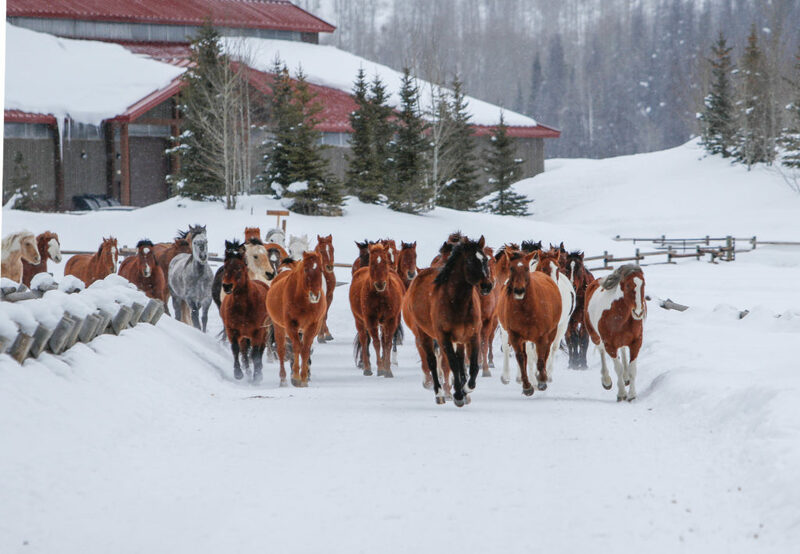 A few minutes before breakfast starts, a stampede of horses gallops right in front of the main lodge. Some people love the horses here so much that they actually decide to buy one after their stay. 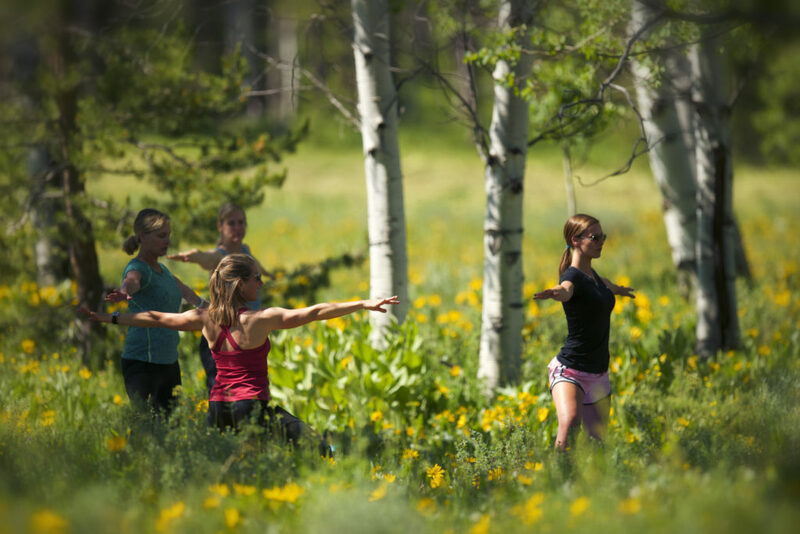 The ranch is no slouch during the summer months, either, with horseback riding, hiking, mountain biking, fly fishing, rock climbing, rafting, paddleboarding and other warm-weather activities on the docket. 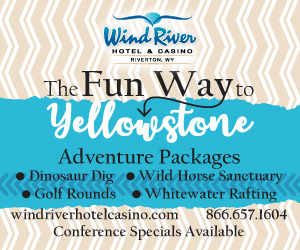 Since the resort is all-inclusive, you won’t have to worry about a thing while you’re here, whether it’s for a romantic getaway or a family vacation with the kids. 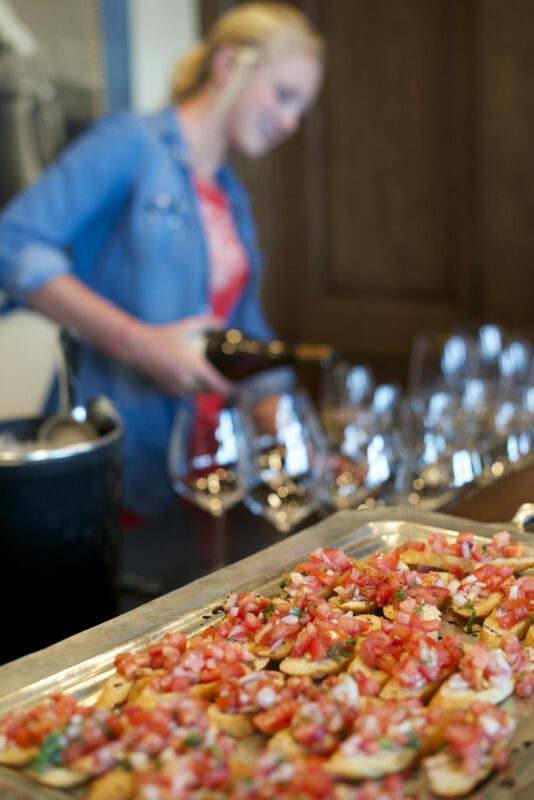 The ranch stocks your cabin with beer, wine, soda and other beverages, as well as snacks to munch on. Come mealtime, your only struggle will be deciding what to order from executive chef Jason Monohan (good thing they’ll let you order as many things as you want). With options like a gourmet wine pairing dinner and an Asian-inspired “build your own bowl” lunch, the food alone is worth the drive. Plus, there are fresh gourmet cookies (with lots of interesting flavor combinations) to snack on in the main lodge all day and delicious pastries at every meal. You won’t find massive crowds here either — it’s super intimate, with a maximum of 32 guests during the adults-only months and 52 guests during the family-friendly months. 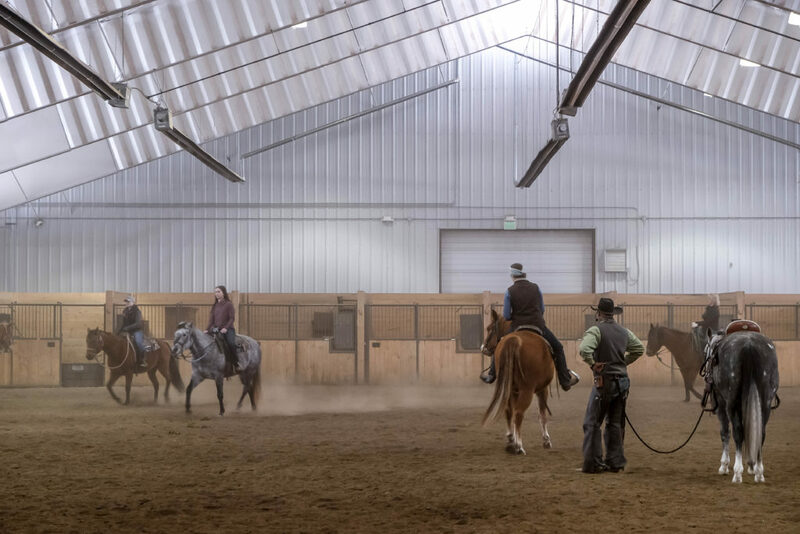 The staff-to-guest ratio is one to one, so whatever you’re doing — whether it’s yoga or a horsemanship clinic — you feel like you’re getting a private lesson. 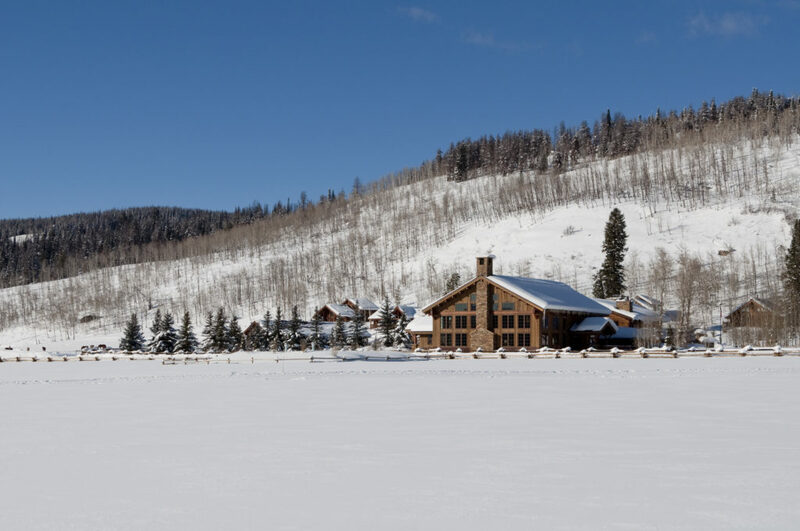 Whether you choose to stay in a room in the main lodge or in one of the 12 private cabins, you’ll feel like you’re getting a truly authentic mountain ranch experience. The decor is rustic and warm, with rich reds, browns and greens everywhere. 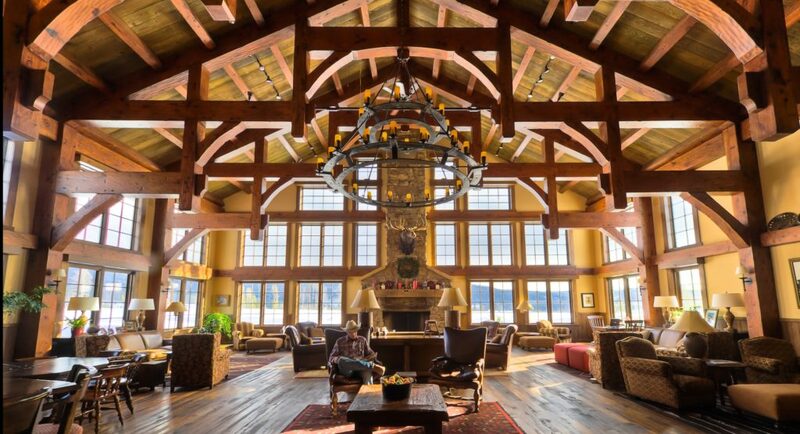 In the main lodge, there are thick wood beams intricately arranged across the ceiling, a massive chandelier and huge floor-to-ceiling windows that offer an unobstructed view of the valley. Each cabin has a private hot tub with incredible views, so you can spend lots of time outdoors while staying warm. The ranch is completely family-friendly, but it offers an option that’s unique: From January to Mid-February, it’s an adults-only retreat. 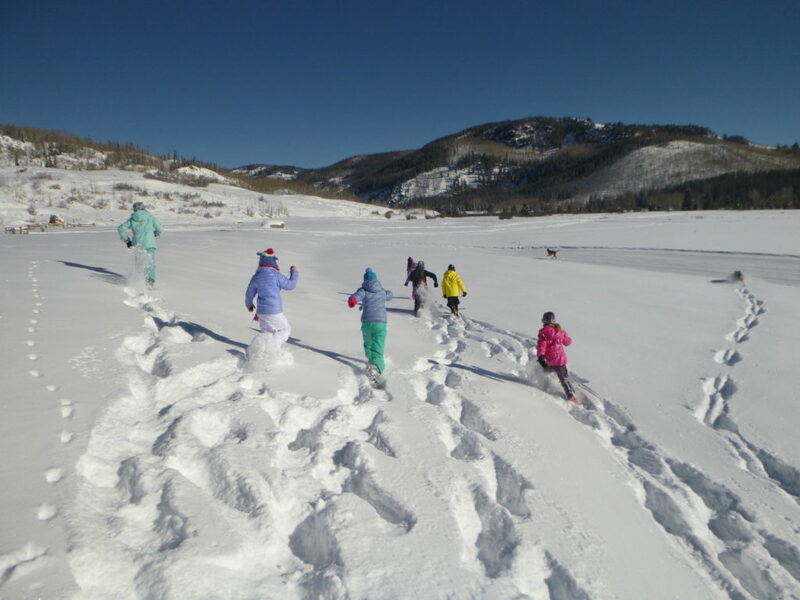 Then, the rest of the months the ranch is open, kids can be at the center of all the action, complete with special kids’ menus, tiny skis and snowshoes and a kids’ hut. You can check out the various activities with your kids, or you can split up for the day and let them participate in the ranch’s fully-supervised kids program while you and your partner share some much-needed alone time (giddyup!). 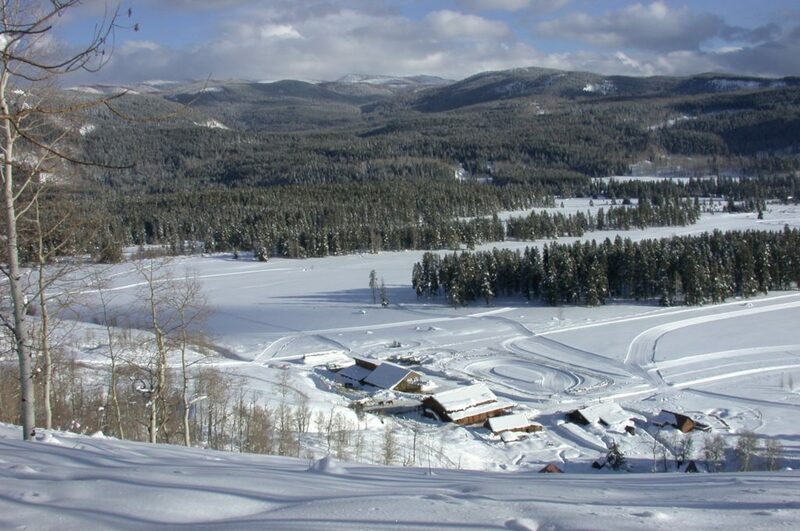 However you choose to organize your dude ranch vacation, here’s one thing that’s certain: You won’t want to leave. But don’t worry, you can always come back.